Mzweleni Mthethwa, a third-year BCom Business Management and Economics student, is the epitome of the commonly used “dynamite comes in small packages” phrase. He is tiny in frame but his intellect and dreams are far greater in comparison. 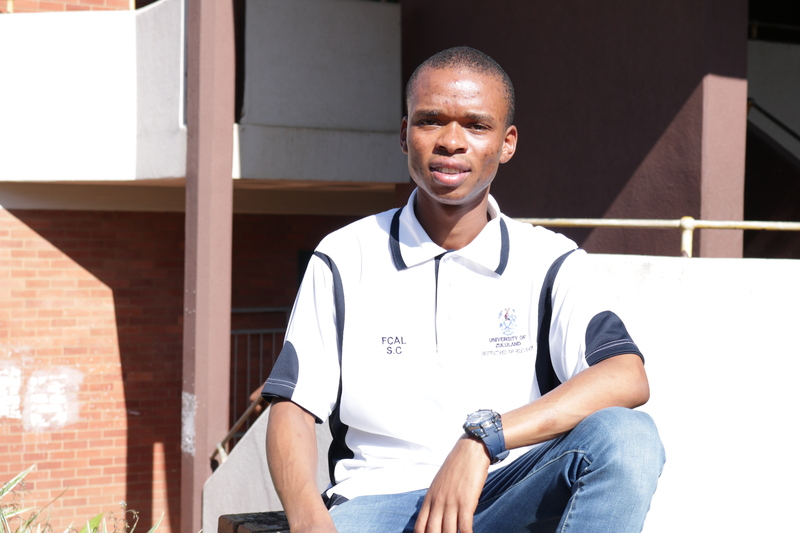 This young man from Oyaya Reserve in Eshowe was among the top achievers in the Faculty of Commerce, Administration and Law at the end of 2018, a feat which came as no surprise at all for Mthethwa. Ever since he enrolled as a student at UNIZULU back in 2015, Mthethwa has maintained being in the top five in the faculty. He first studied towards a National Higher Certificate in Marketing, a two-year course offered at the Richards Bay Campus. Mthethwa completed his course top of his department and faculty, earning himself the honour of receiving one of the prestigious Vice-Chancellor’s awards for top achievers in all four faculties of the University. After acquiring enough knowledge on how business marketing and branding operates, the aspiring entrepreneur decided to follow his other passion by enrolling for a BCom degree in Business Management and Economics offered at the KwaDlangezwa Campus. Here too his academic record has seen him comfortably occupying a spot in the group of top five achievers in the faculty. “What is his secret?”, you might be wondering? Well, dedication. “When you choose a course you have an interest in, studying becomes second nature. Nothing holds you back. You always want to go the extra mile; you study more and research more than the average student. Because I chose a career I loved, I have always been in the top five in the faculty,” Mthethwa said. Investing in his studies has had a lot of benefits for him, the greatest being receiving a bursary from the Public Investment Corporation (PIC), one of the biggest investment managers in the continent. “I’m one of a few top BCom and Law students funded by PIC in 25 different universities in the country. All their sponsored students get a chance to do vacation work for three weeks at the end of each year in Pretoria. I was there at the end of 2018 and boy was it a life changing experience! I worked in the Investment Management Department and I was exposed to so much,” Mthethwa recalled. When he completes his degree Mthethwa will work for PIC for two years (an equivalent of the duration of the bursary). He said he plans to gain a minimum of five years’ experience, networking and making contacts, before venturing into businesses of his own. One thing is for certain though: he will succeed in whatever he does because he is “afraid of being poor”. He is also determined to make his single mother and younger siblings proud. Mzweleni Mthethwa, one of the top students in the Faculty of Commerce, Administration and Law in 2018.